Rent Salty's Seafood Grill-At Redondo Beach | Corporate Events | Wedding Locations, Event Spaces and Party Venues. Give your next banquet a better point of view. Whether you are planning a quiet affair or a lavish celebration, Salty's seafood restaurant at Redondo Beach is a hidden gem just waiting to make your next private dining event memorable. Give your next banquet a better point of view at Salty's on Redondo Beach, with spectacular views ofPuget Sound and the Olympic Mts. We're a hidden gem on Puget Sound waterfront just south of Seattle between Des Moines and Federal Way. 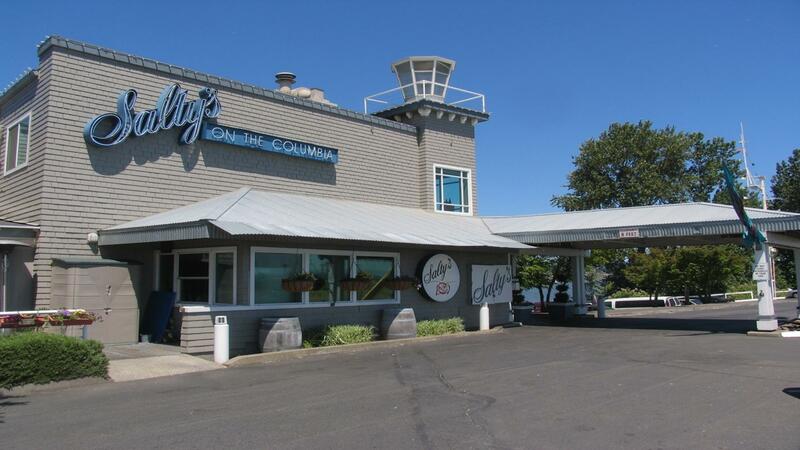 Salty's waterfront seafood restaurant will make your next banquet, private dining or special event memorable. Your guests will enjoy our fabulous views of Puget Sound, Maury Island and the Olympic Mountains, award-winning Northwest cuisine and impeccable service — Salty's has everything you need to create the perfect party, wedding reception, anniversary, birthday, holiday party or corporate event. Looking for a beautiful event venue for your picture-perfect wedding reception or rehearsal dinner? On this special day, you deserve the best. And that's what you get when you book your wedding reception or rehearsal dinner at Salty's Waterfront Seafood Grills. It all starts with our breathtaking panoramic view of the Seattle skyline across Elliott Bay at our Salty's on Alki Beach, fabulous views of Puget Sound and the Olympic Mountains at our Salty's at Redondo Beach or the sweeping Columbia River with the majestic Mt. Hood in the background at our Salty's in Portland. These unique backdrops provide a perfect backdrop for your most memorable event. Salty's offers a unique dining experience for your wedding guests by providing only the freshest and finest ingredients.